This week Virgin Islands Montessori School and Peter Gruber International Academy (VIMSIA) welcomed Changing Tides Foundation volunteer Sarah Brady, who was led on a campus tour by seniors Candice LaPlace, T'Leah Serieux, VerNele Callwood and Nalani Figueroa to better understand VIMSIA’s environmentally sustainable initiatives. Brady was shown why our school is considered a leader in renewable energy and shown the usage of solar panels, pit drains to catch water, retention ponds, gardening efforts, recycling systems and much more! Originally from California, Sarah –a junior at UC Santa Cruz majoring in Cognitive Science- decided to take a quarter off to assist with relief efforts by volunteering with Changing Tides Foundation. 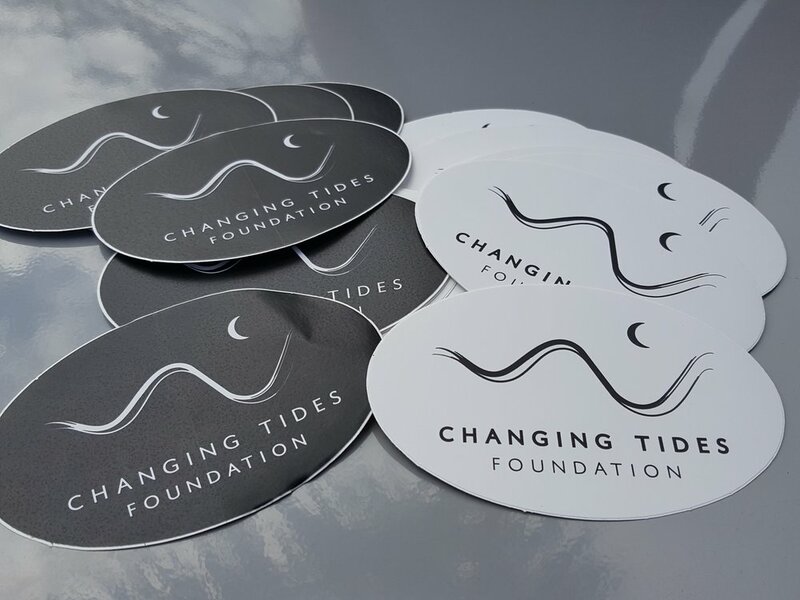 Being that a mutual interest in renewable energy and building sustainable infrastructure existed, a partnership between Changing Tides Foundation and VIMSIA was a no-brainer. 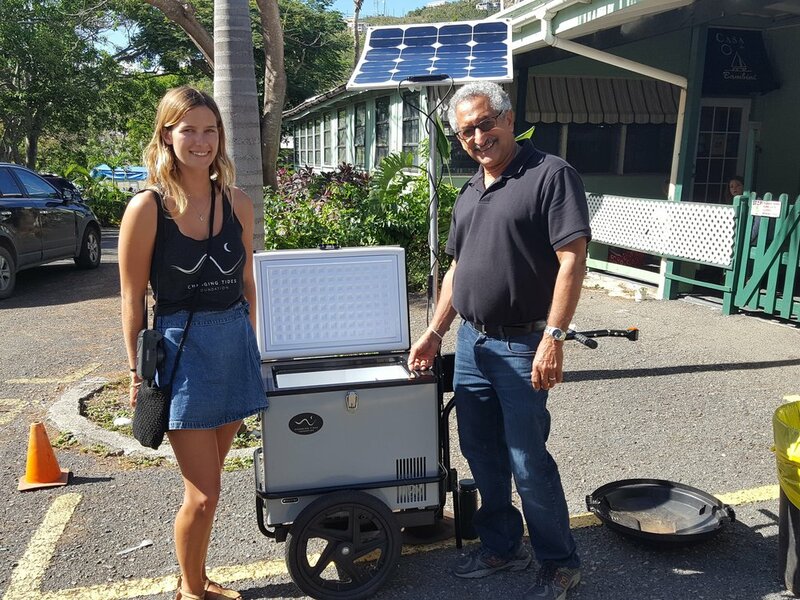 Having learned that PGIA students often sell water bottles from coolers as a way to fundraise, the foundation generously donated four SoulR Cart solar powered coolers. 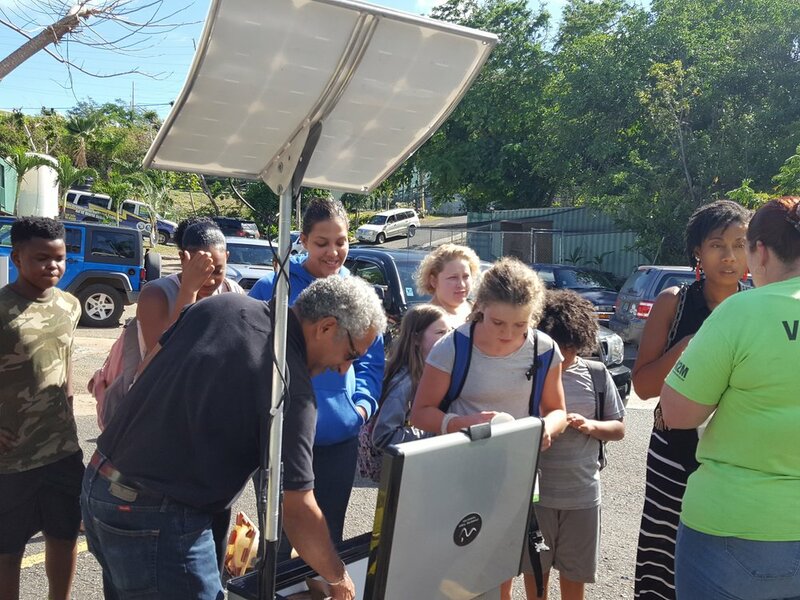 In celebration of this donation, head of school Michael Bornn organized an ice-cream party for the entire school to educate students on solar energy. Students enjoyed a tasty treat chilled by the sun!